It’s out online from November 11 and in stores later this week. Apple has finally announced when you'll be able to get your hands on its big, but beautiful tablet – and it's good news. The iPad Pro will be available online from this Wednesday and in stores later in the week. Apple also revealed pricing for the UK with the 32GB Wi-Fi model costing £679 while the 128GB Wi-Fi and Cellular version costing £899. 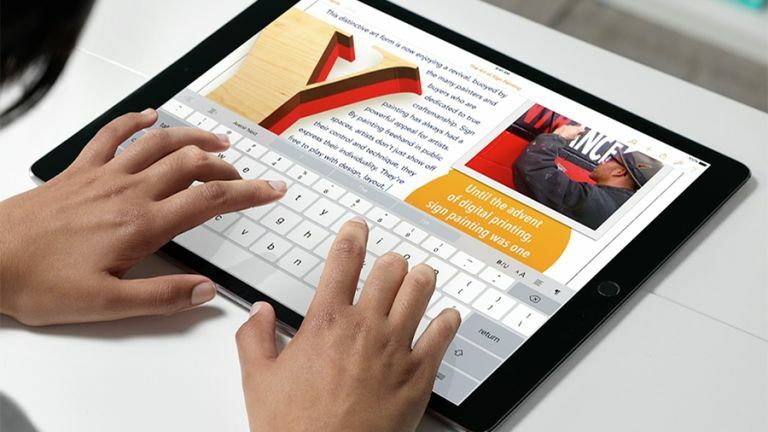 Apple's Pencil will cost £79 and the Smart Keyboard will be up for £139. If you want to check it's the right tablet for you though you'll have to wait until later in the week for when it hits stores. Apple hasn't confirmed an exact date though, but we'd hope for it to be in there by Friday. The iPad Pro comes with a 12.9-inch display and is more than a little large in the hand so it may be worth trying it out for yourself to check it's the tablet you want.